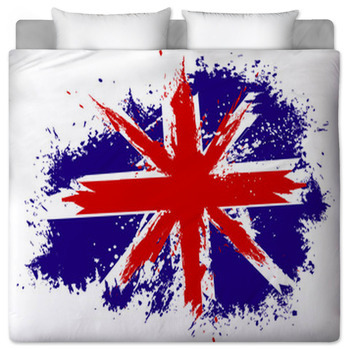 The Union Jack: Whether you're from Great Britain or just a fan of the culture and history she represents, you'll find color and inspiration at VisionBedding. com. 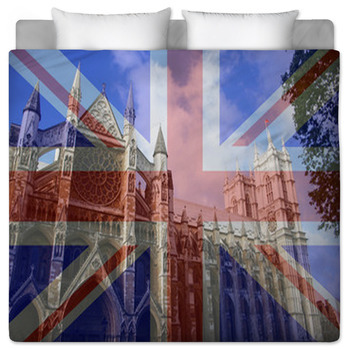 VisionBedding offers custom flag bedding which creates a love for all-things-England in any bedroom in the house. 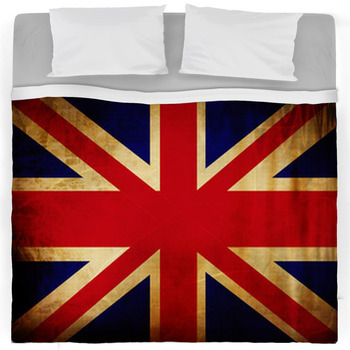 You can create amazing blankets, gorgeous bedding and pillow cases, and so much more. 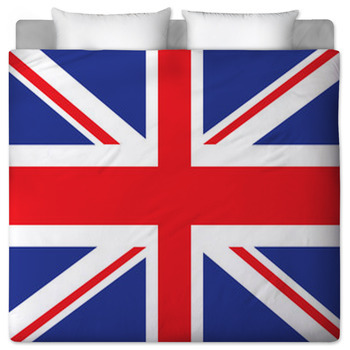 In fact, if its used in the bedroom, it will come alive through British flag bedding. The red, white and blue colors are perfect colors, because they'll match just about any other color scheme you've got going in the room. 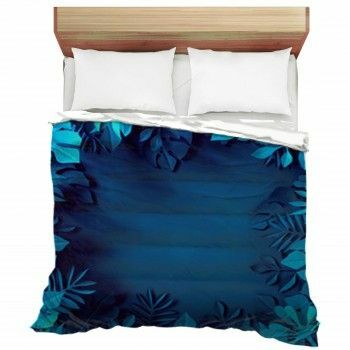 Whose bedroom will look best decorated in the these colors? Really, any age! 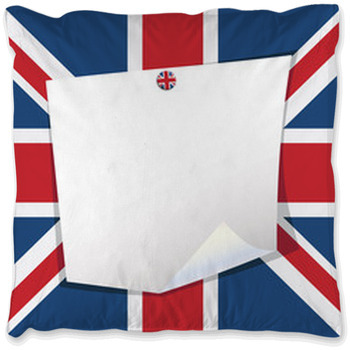 By concentrating on brighter colors, or perhaps even cartoonish images, you can use the Union Jack for children's rooms. 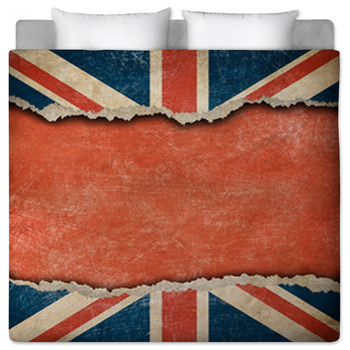 If you're getting the bedding for teenagers or even for the Master bedroom, perhaps you'll prefer something darker with a more somber tone to it. With any of these scenarios, VisionBedding can help you create the perfect Photographic Bedding. 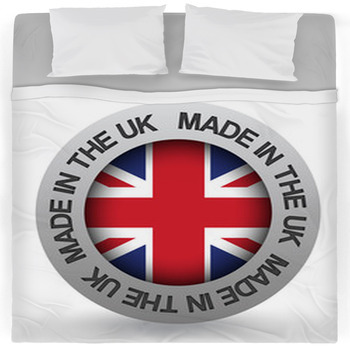 We have a vast library of images, containing dozens of different interpretations that are sure to create the perfect British Flag comforters and Bristish Flag duvet covers set you desire. 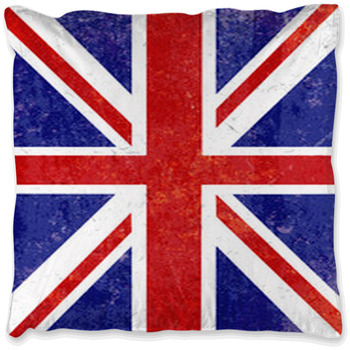 And if not, feel free to send us your own photos or flag artwork. 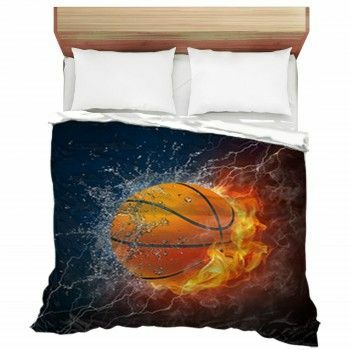 Either way you handle it, well take the images you've selected them and, using the VisionBedding unique process, well dye the images into the fabric. The result will be so life-like and so dynamic that you'll feel like it belongs in a museum. 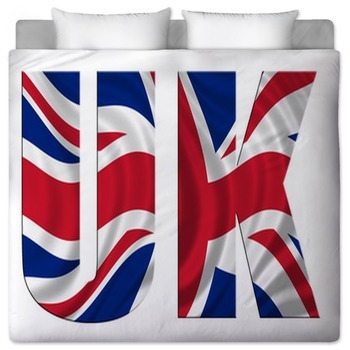 One more thing: If you want to create personalized bedding, just include a persons name, initials or personal message, and well make it part of the design, too! 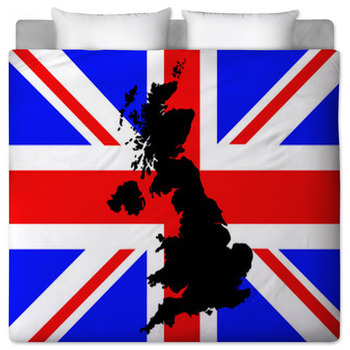 It'll be the bedding to make the Queen herself proud!